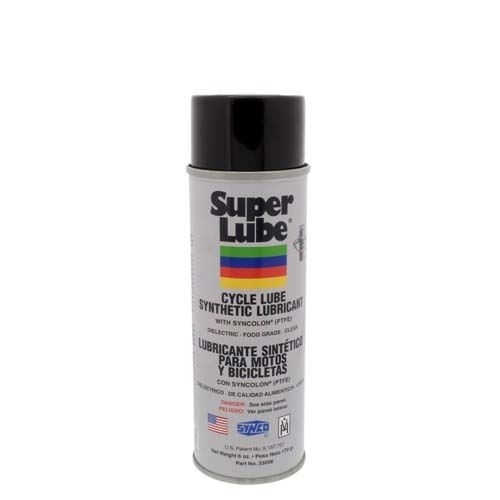 Super Lube® Cycle Lube Synthetic Lubricant with Syncolon® (PTFE) is designed for use on motorcycles and bicycles in a convenient, easy to store and apply 6 oz. aerosol container. It cleans, penetrates and protects chains, shifters and brake cables by forming a protective grease barrier of water repelling lubricant. This product is dielectric, food grade and clean. It is ideal for use in all weather and terrain conditions.